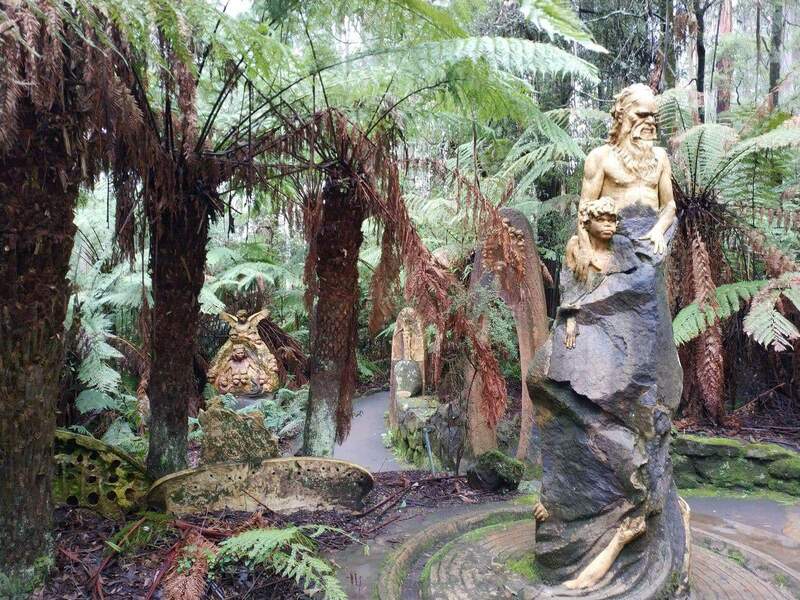 The William Ricketts Sanctuary in the Dandenong Ranges is an amazing setting where you can relax and enjoy an array of activities. 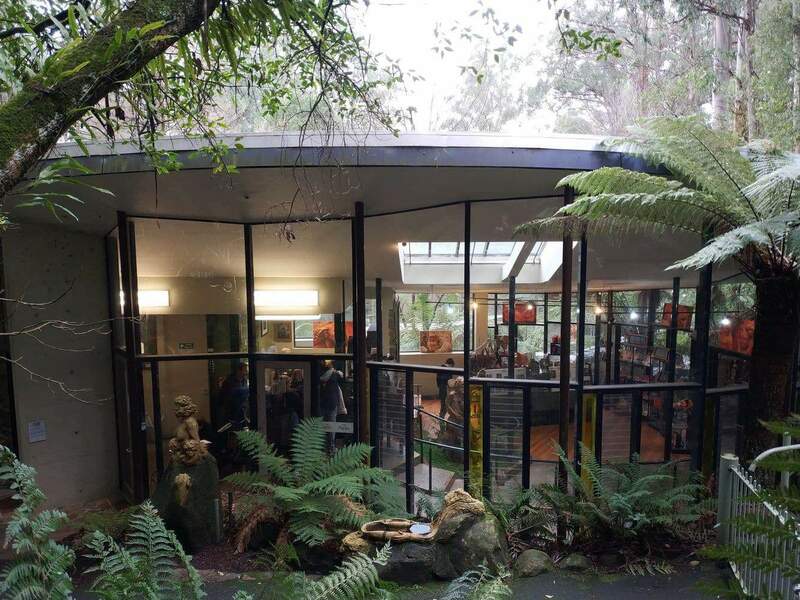 This peaceful refuge is set adjacent to the forest-clad hills of Mount Dandenong and on the outskirts of Melbourne. 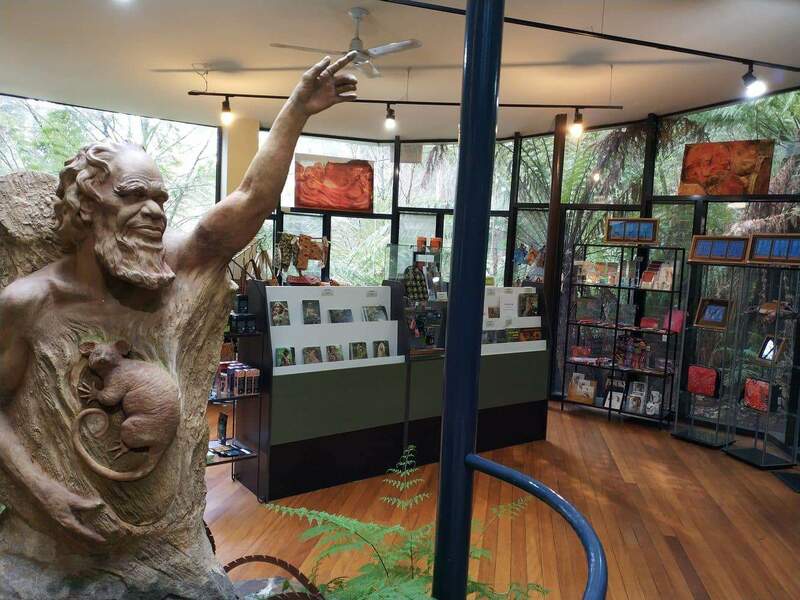 Within this verdant setting, you will come across a number of beautiful clay sculptures of Aboriginal people; including 92 major sculptures and many small clay sculptures. 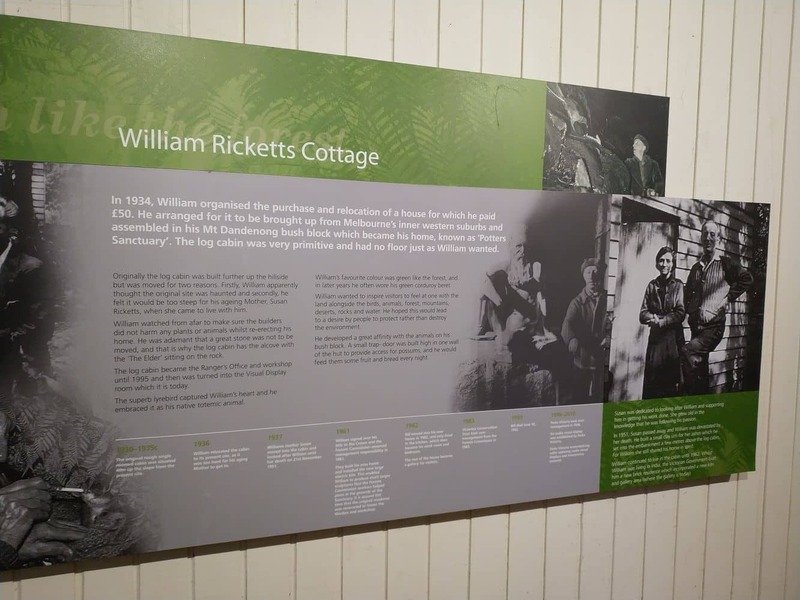 The breathtakingly beautiful clay sculptures not only represent Rickett’s vision but also showcase his respect for culture. These visionary sculptures also encourage guests to understand the importance and motive of his work. Each of the 92 clay sculptures represent the essence of the Aboriginal culture, lifestyle and spirituality. 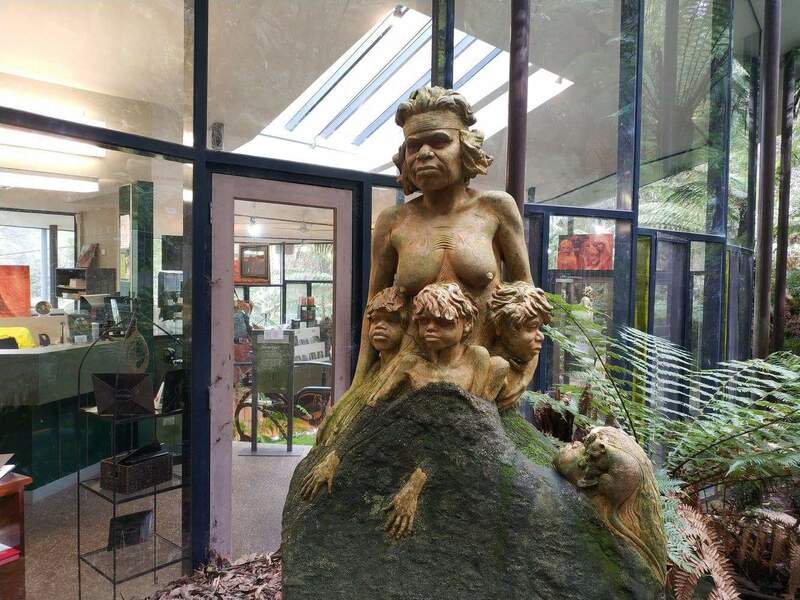 You will also find some sculptures of Australian wildlife as well. 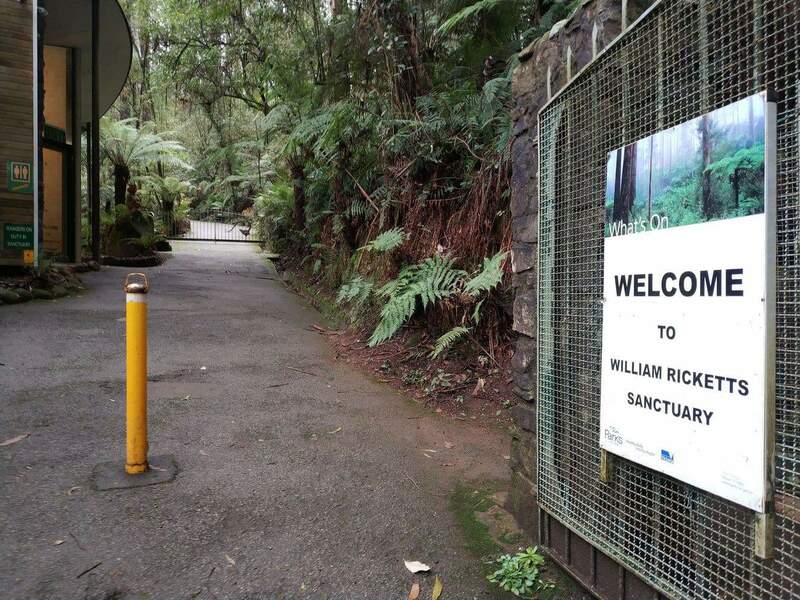 Named after the famous artist William Ricketts, this beautiful sanctuary is a worthy place for a weekend getaway or day trip. There is no entry fee for the sanctuary and all are welcome to this peaceful place of reflection and quiet contemplation. 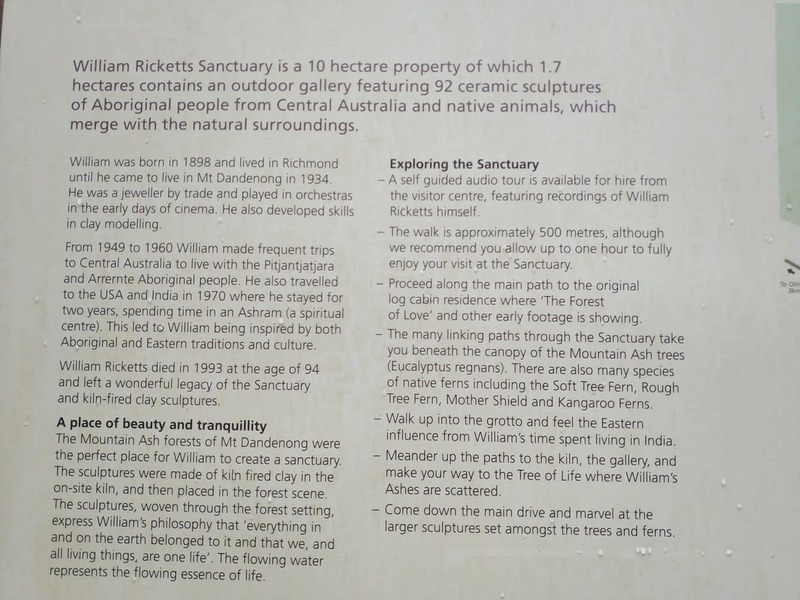 Come and explore the sanctuary to understand the artist’s vision about the Aboriginal culture from the intellectual, historical and social point of view. 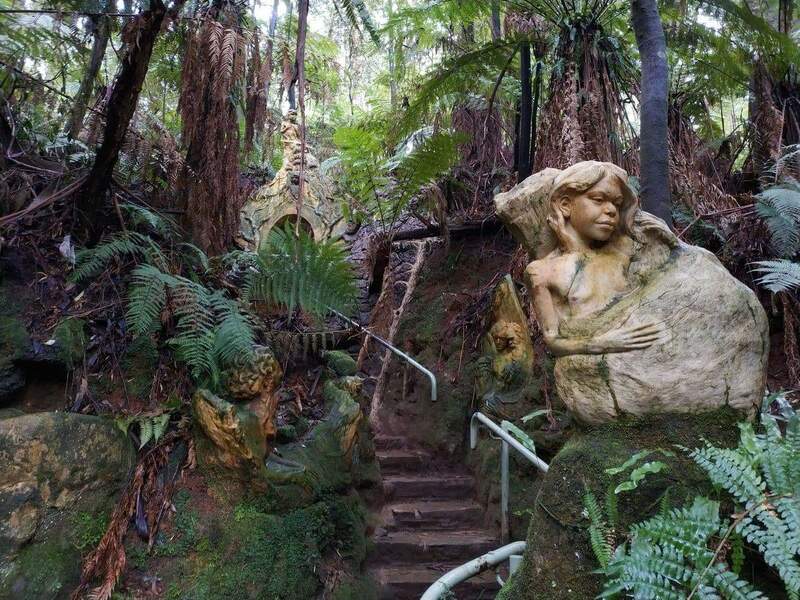 Nestled in a charming ferny glade area of the Dandenong Ranges, William Ricketts Sanctuary is a serene setting boasting tranquillity and beauty of nature. This natural setting welcomes visitors from all across Australia and abroad. 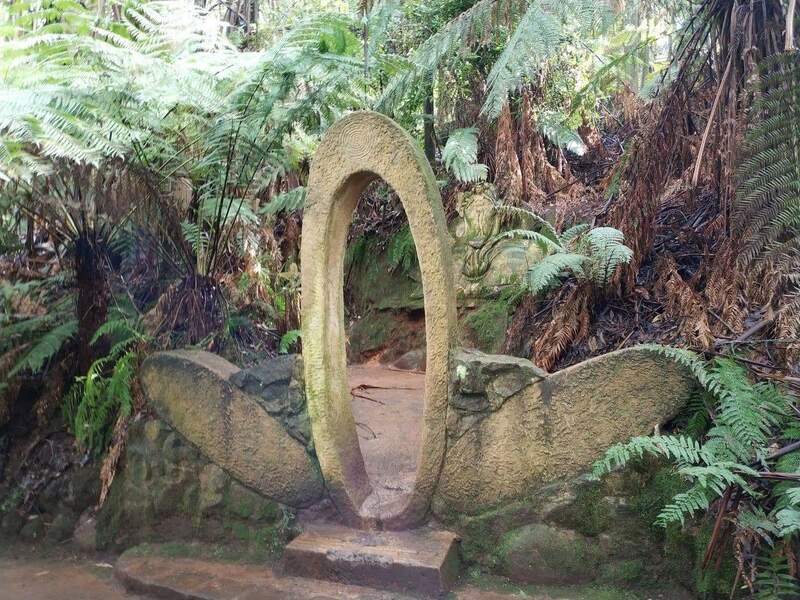 Don’t miss a chance to check out this unique attraction whilst visiting the Dandenong Ranges. So plan a visit to this beautiful sanctuary and enjoy wandering through the peaceful grounds. The main track is wheelchair and stroller friendly with only a couple of spots with a medium grade. It is approximately 500 metres in length, which makes strolling through this sanctuary a calm and relaxing way to spend a morning or afternoon. We are actually in the process of updating our page with photos i took when i personally visited recently, to these will be available soon. 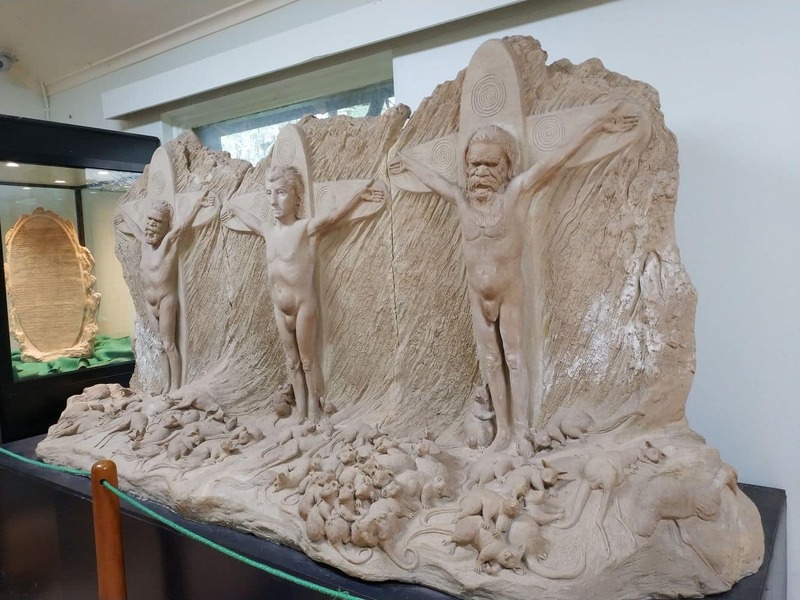 As for the measurements, i would say that the bulk of the sculptures wouldn’t be more than 1 metre tall, with the more extravagant pieces being at least 2 metres tall (these usually back onto the hillside). As for widths, they vary immensely again – usually the shorter pieces will be less than 1metre in width, with the same tall pieces being a few metres wide. 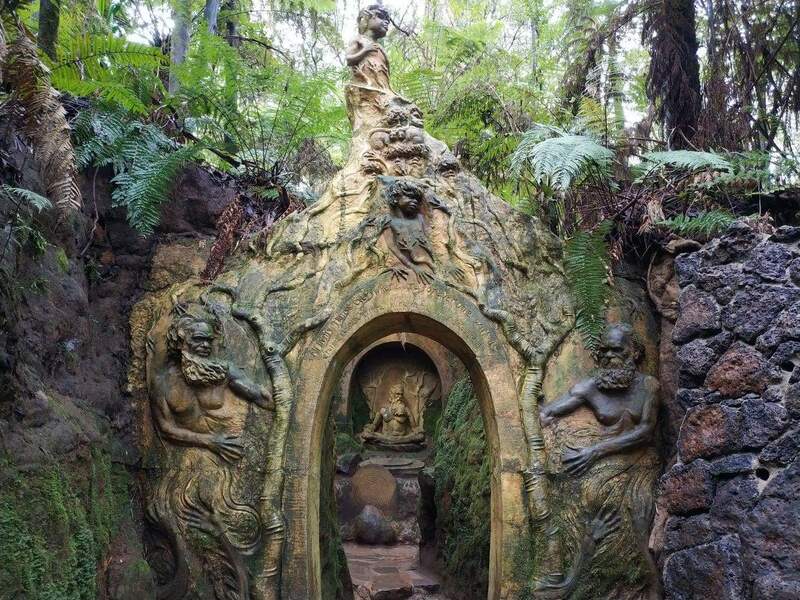 Is the William Ricketts Sanctuary or anywhere in the Dandenong Ranges pet friendly? 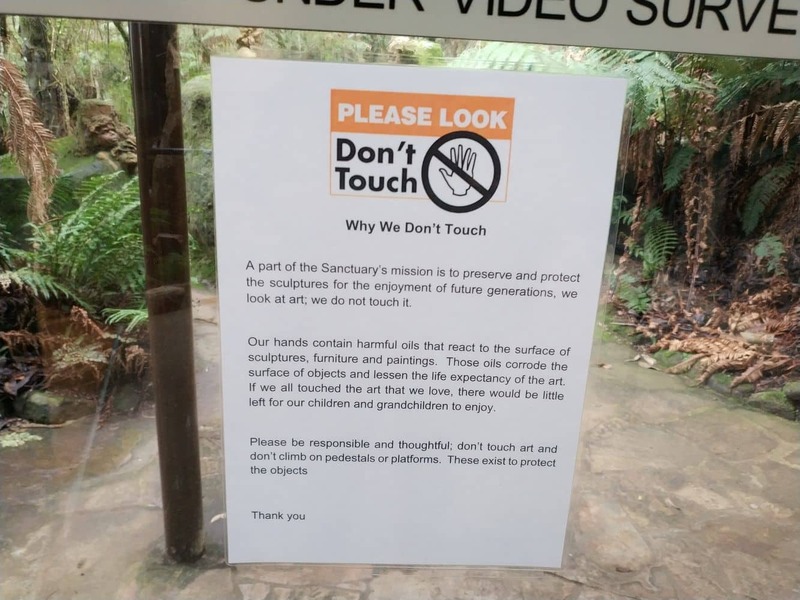 You cannot take pets anywhere into the Dandenong Ranges National Park, due to the natural wildlife that lives there. However, you can try the Alfred Nicholas Gardens, George Tindale and Pirianda Gardens allow well-behaved pooches in, always on lead. The Mt Dandenong Arboretum is another lovely spot too. 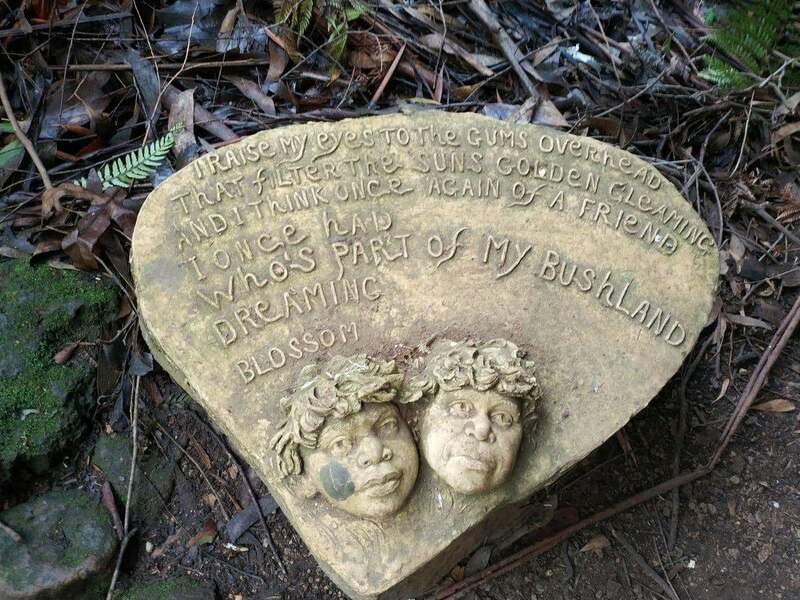 We are staying in Melbourne near the Southern Cross railway station on the nights of the 5th and 6th of April and wish to visit the William Ricketts Sanctuary. How can we get there please? Catch a train on the Belgrave line and get off at Upper Ferntree Gully Station. 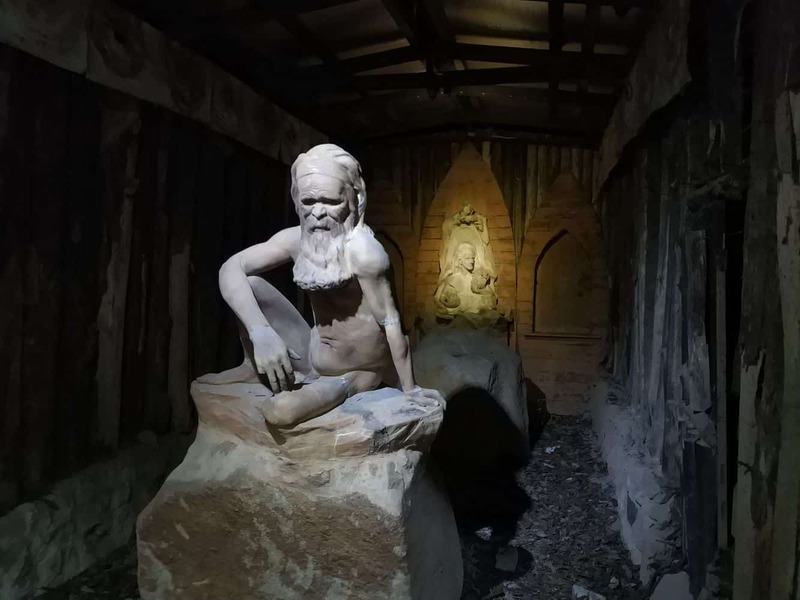 Take the number 688 Bus which will stop at the William Ricketts Sanctuary. Here is a link to the bus route. The trip via public transport will take around 1.5 hours each way. 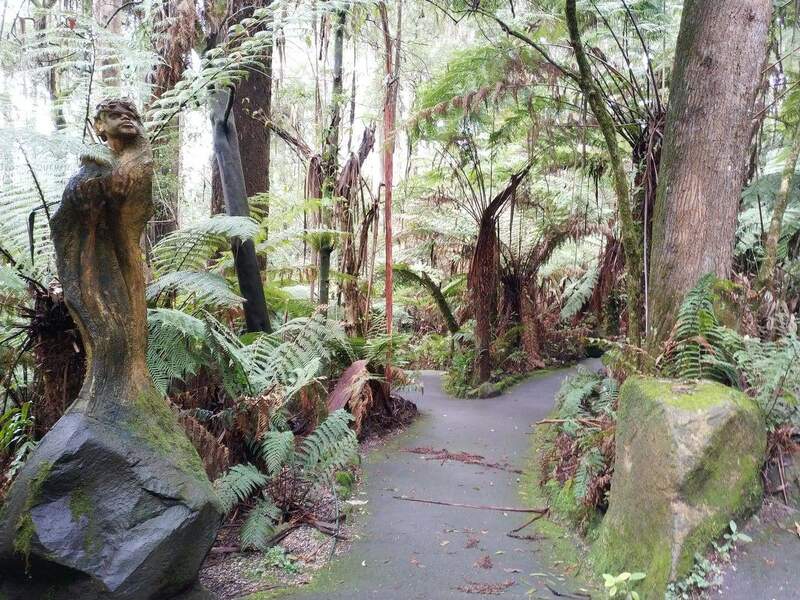 Alternatively, you can hire a car and make the drive which will take around 1hour and then you can explore the rest of the Dandenong Ranges by car. It can be quite time consuming to try and get around the national parks area by public transport, as it is only serviced by buses which only pass by every hour or so. 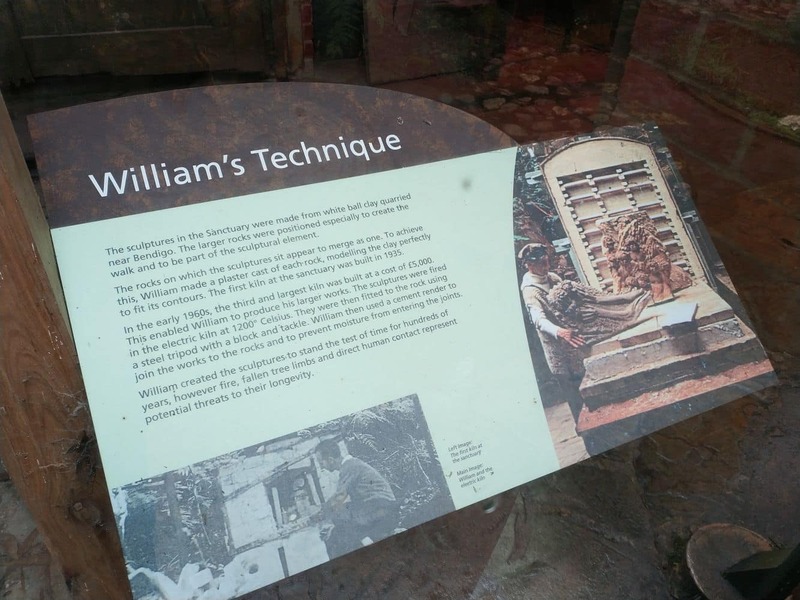 Enjoy your trip to the William Ricketts Sanctuary! We are coming on a cruise and will be in Melbourne on Nov 29th for about 7 hrs. and would like to see this area. Are there any tours or transportation that will take you to this area? 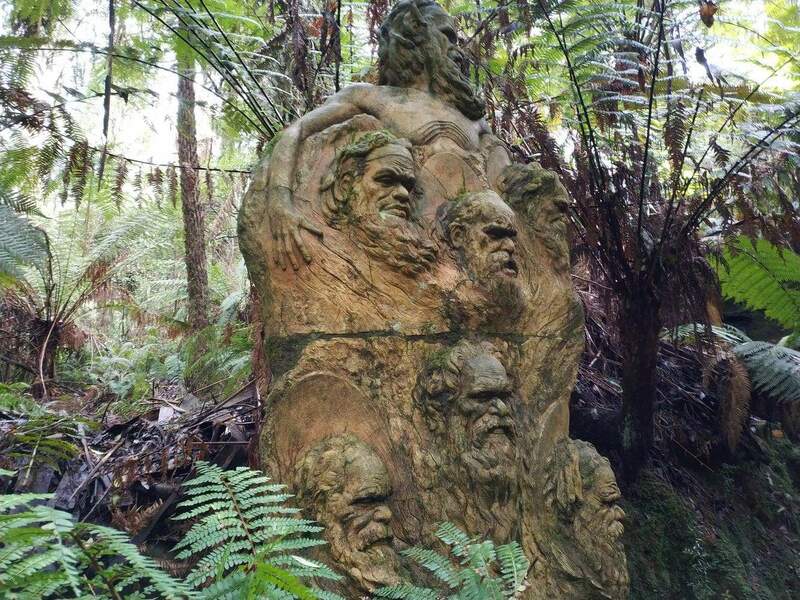 I have found one tour which travels to William Ricketts Sanctuary, it is through LeadBeater Tours and you can find their Dandenong Ranges tour here. Unfortunately 7 hrs may not be enough time to complete the tour, but I would suggest contacting the tour operator and see if they can make a shorter tour for your group on the date you require. 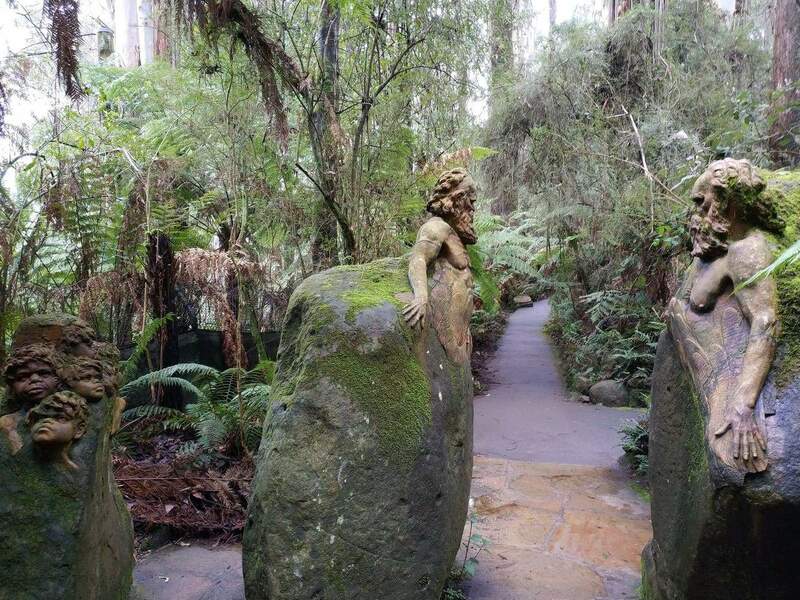 Being a National Park area, the Dandenong Ranges is best visited with a car, and the time it would take to catch public transport in and out would not leave you much time to explore the beautiful gardens and sanctuaries here. 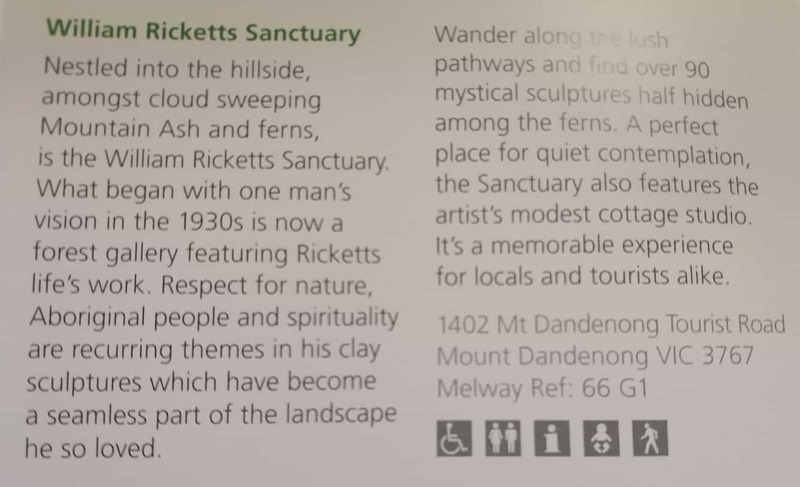 There isn’t a train station right near the William Ricketts Sanctuary, so it would require a 50 minute train ride + a transfer to a bus for another 20 minutes (each way). An alternative suggestion for you is to take the 5hrs 30 minute Puffing Billy tour which picks you up and drops you off from Federation Square in the Melbourne CBD and you get a quick ride on one of Victoria’s most iconic attractions, as well as a walk through Sherbrook Forest. This is a good quick tour that would suit your timeframe. You can check out the details here. I hope you enjoy your quick trip into Melbourne! Also, is there a coffee shop or anywhere onsite where it might be possible to heat up a baby’s milk bottle? The track is not lengthy, only around 500 metres. However last time I was there, my partner and I spent about 1 hour strolling through at a slow pace (there are 92 sculptures to see). There is also a cafe called “Brunch Restaurant and Cafe” which is only a short 200 metre walk from the sanctuary. They may also be able to assist you with the bottle. 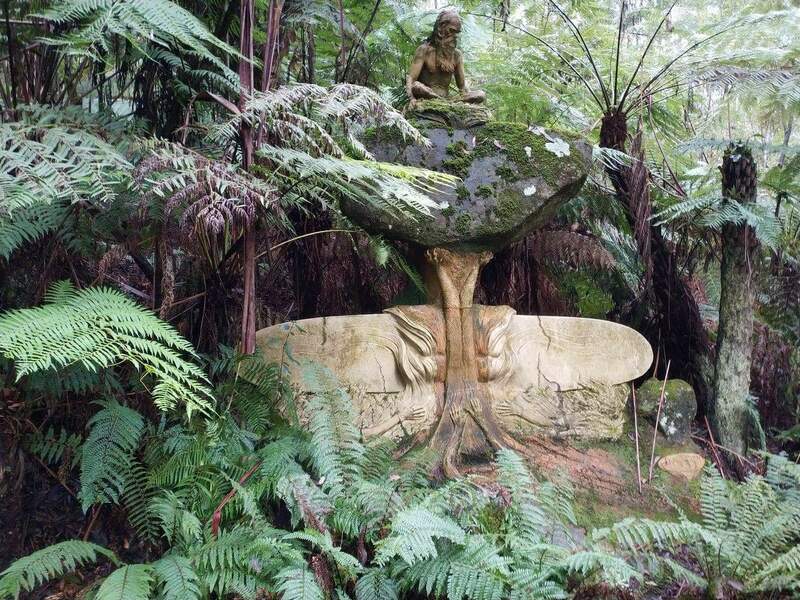 Have a great day in the Dandenong Ranges! Hi Tom, thanks for contacting us. 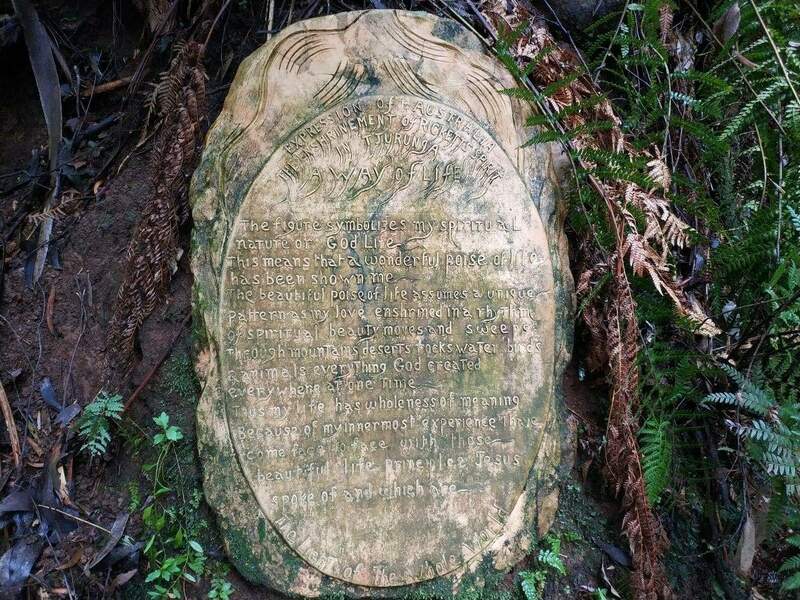 William Ricketts Sanctuary is FREE to attend. No need to book. 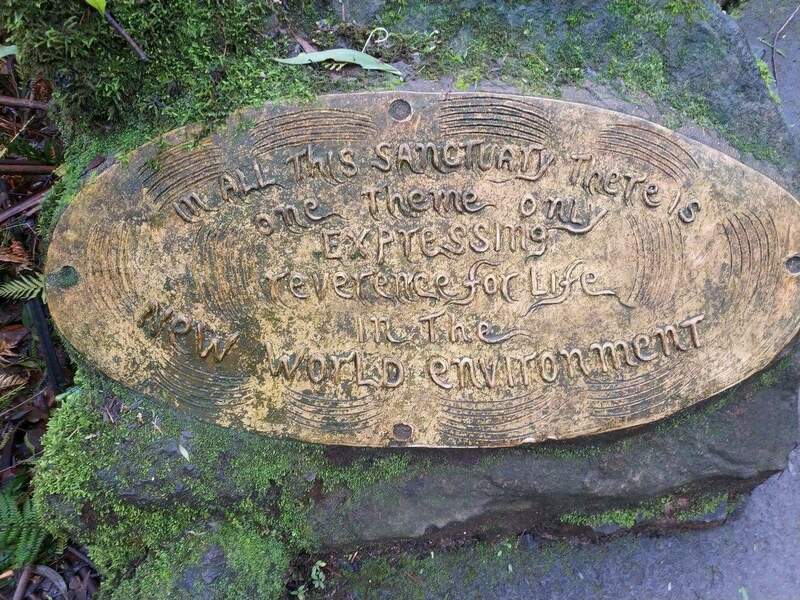 Enjoy your day in the Dandenong Ranges. Hi, Just wondering are there any places in or near the garden where students can sit and eat? 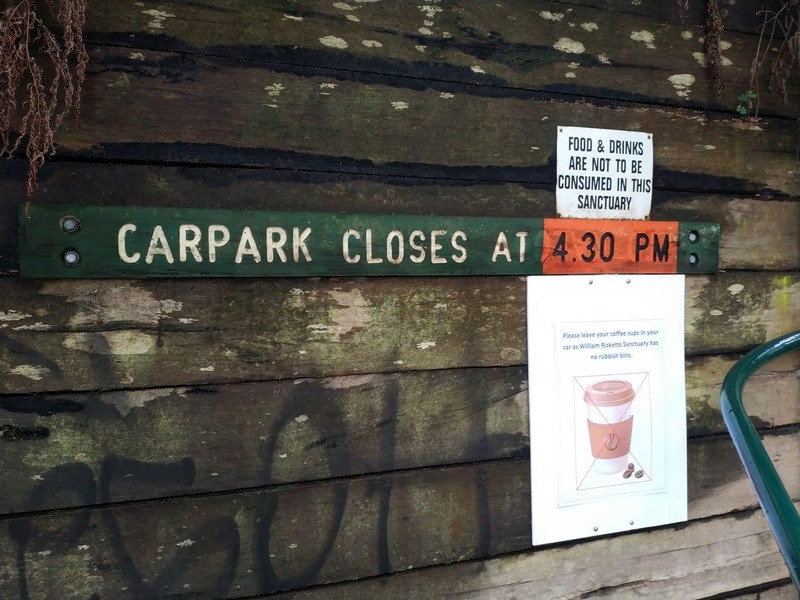 Unfortunately eating or drinking is not permitted within the Sanctuary. 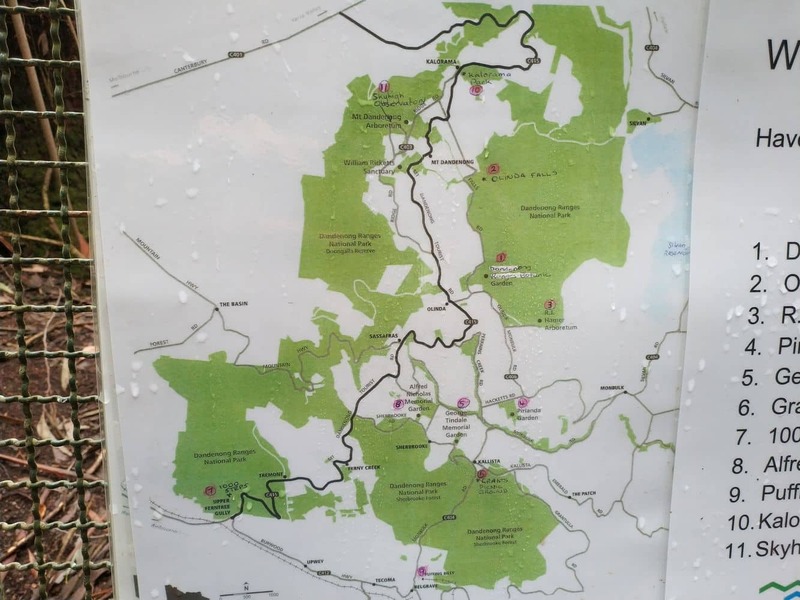 To assist you, I have attached a link to the picnic grounds in and around the Dandenong Ranges. However, there aren’t any within close walking distance. If you are able to drive the students, I would recommend the RJ Hamer Arboretum (6kms / 9min). So WRS will be open on Good Friday I presume? 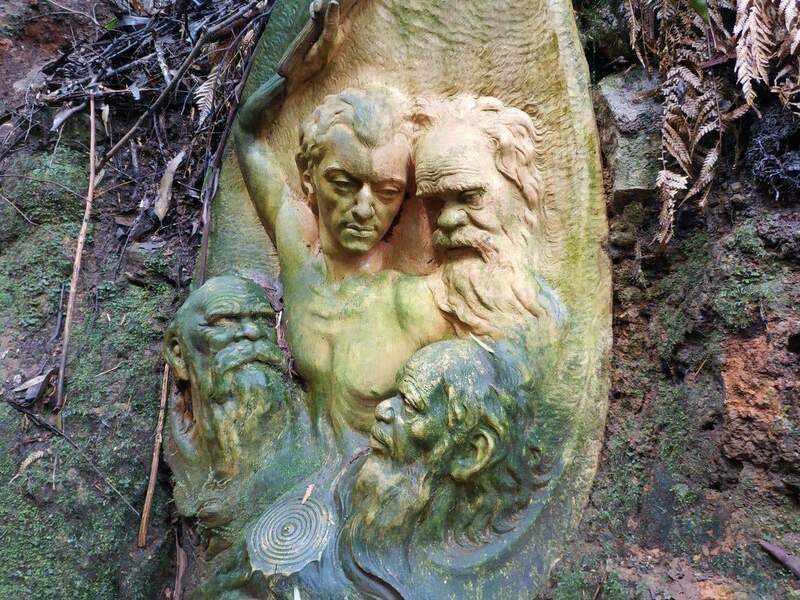 William Ricketts Sanctuary only closes on Christmas Day, so it will be open Good Friday between 10am – 4.30pm. Hi Gurmeet, thanks for contacting us. 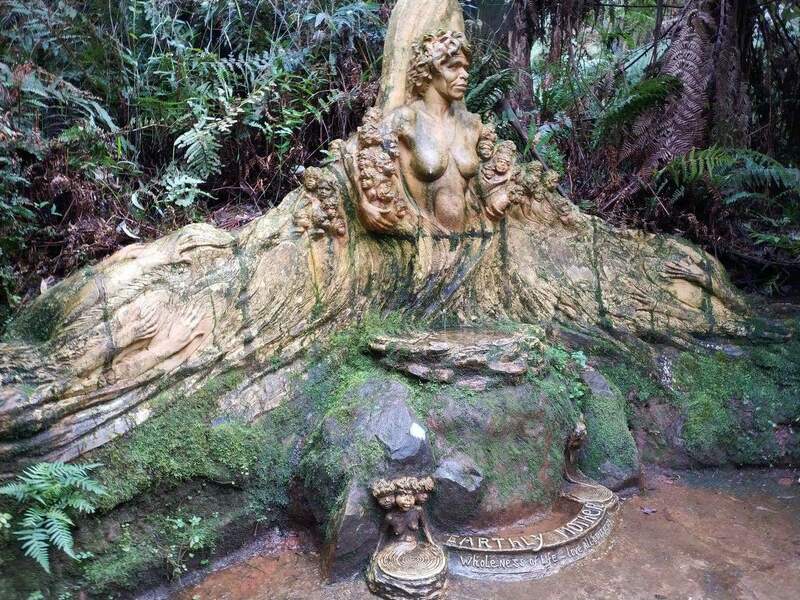 William Ricketts Sanctuary is open daily from 10am to 4pm daily (except Christmas Day). So it is open on Labour Day. The Sanctuary is wheelchair accessible, so you should have no issue with a double pram. 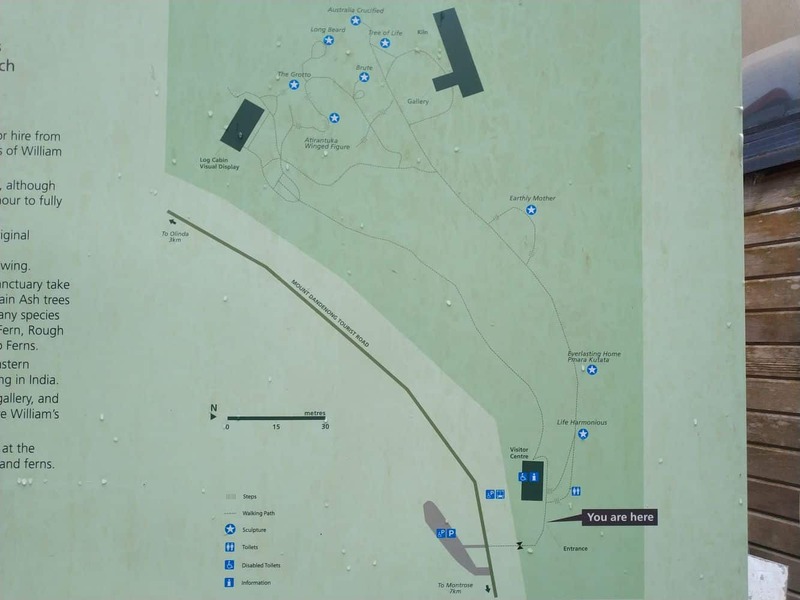 Refer to the map on our page which indicates the tracks that are suitable for visitors with limited mobility, these tracks will best suit your pram. There are some smaller tracks off to the side that have stairs, so your pram may not be suitable for those short treks. Enjoy the long weekend and your day at the Sanctuary! I have looked at the Parks Victoria website and apparently the park is quite wheelchair friendly. 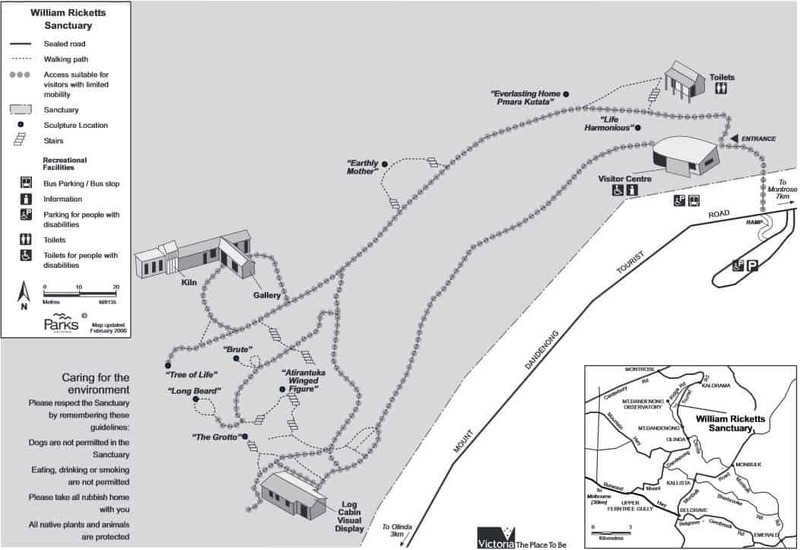 Although the first 20 metres of the path does have a steep gradient, it is mentioned that most of the park’s paths are around a 1 to 14 gradient. The only place you won’t be able to reach because of stairs is “Earthly Mother”, but apparently it can be seen from the main road. Hope this helps and have a great day out!